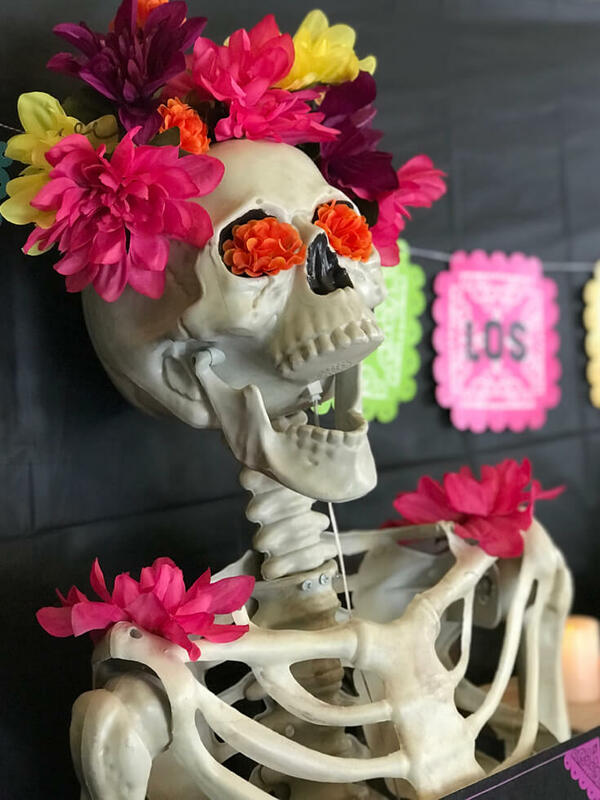 We just got done with an amazing Day of the Dead party and I’m so excited to continue the fun for Disney Pixar’s newest movie by hosting a Coco viewing party. Think you don’t have what it takes for a fabulous Coco movie party? Take a look at these easy tips and think again! 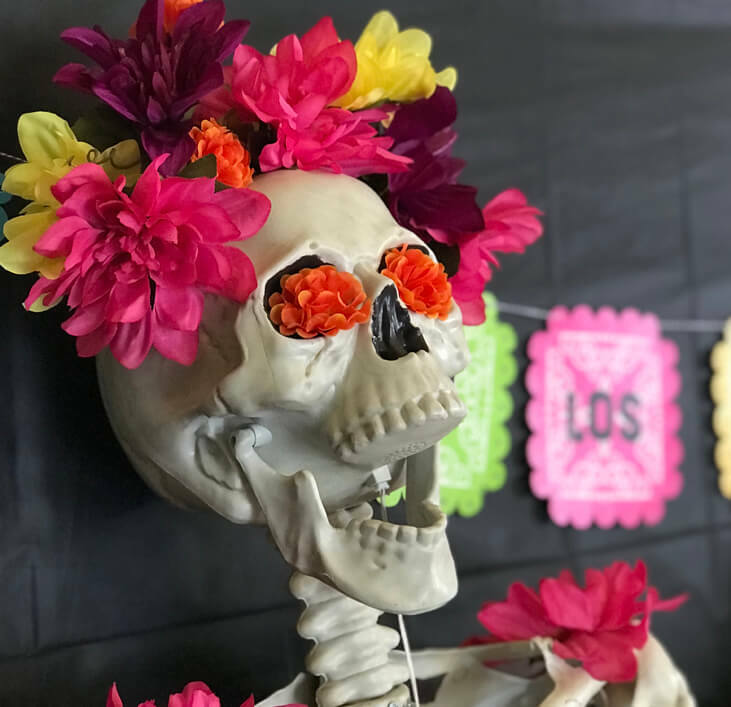 Invite friends and family to your Coco movie party and celebrate the Day of the Dead any day of the year. 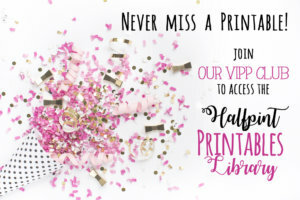 Invitation can be customized for a birthday party too! 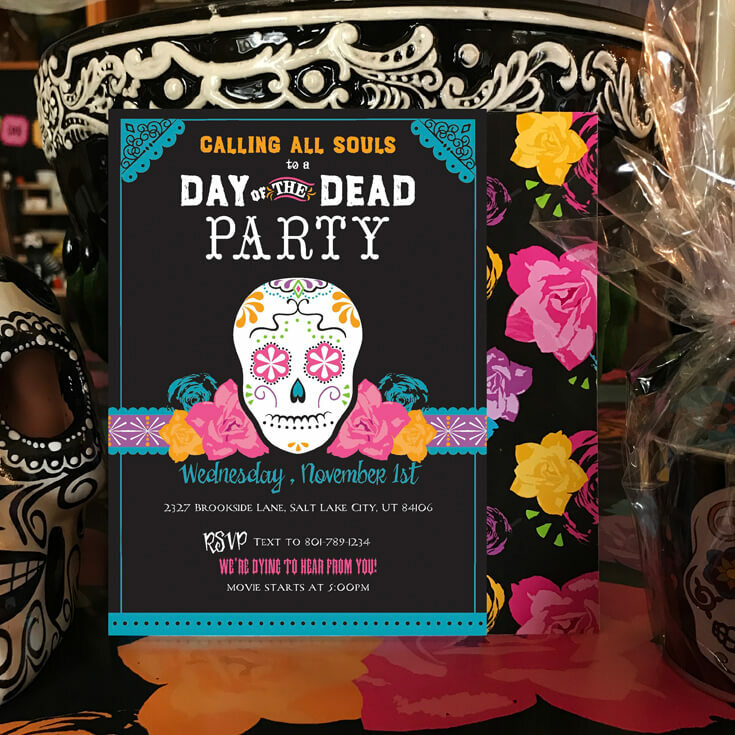 This Day of the Dead invitation is available as a digital download on Etsy. 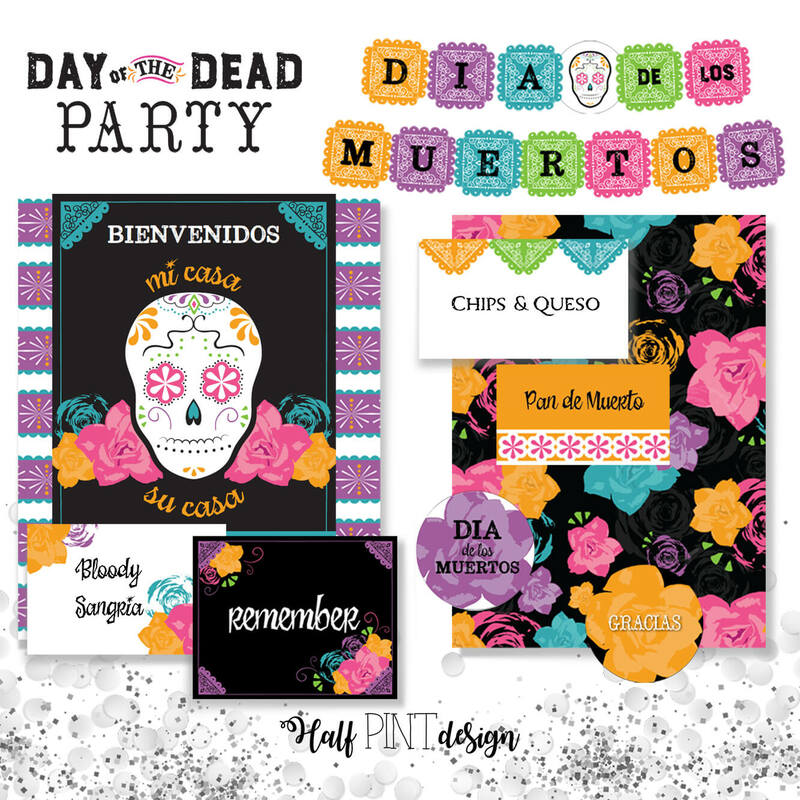 Once they’re at the party, you can wow them with a Day of the Dead printable party decor package, that coordinates with your invitation, also available on Etsy. 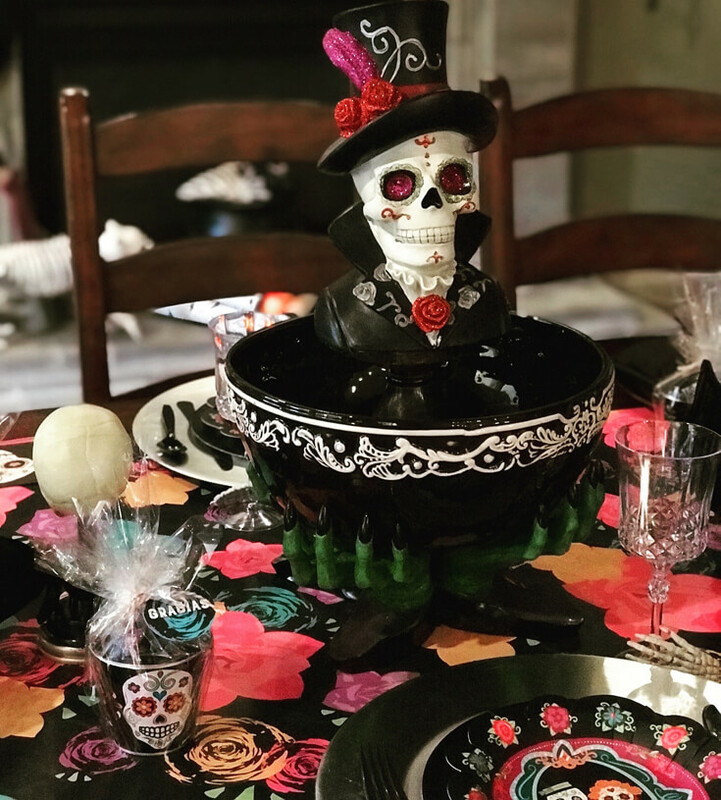 This fabulous Day of the Dead Coco Movie Party centerpiece is simply created by adding a Sugar skull bust to candlestick in a Halloween serving bowl. 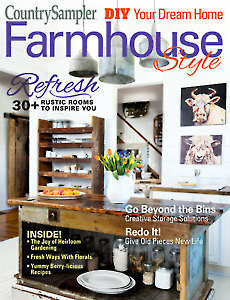 Get creative and shop your house! You’ll be surprised how much you can use. 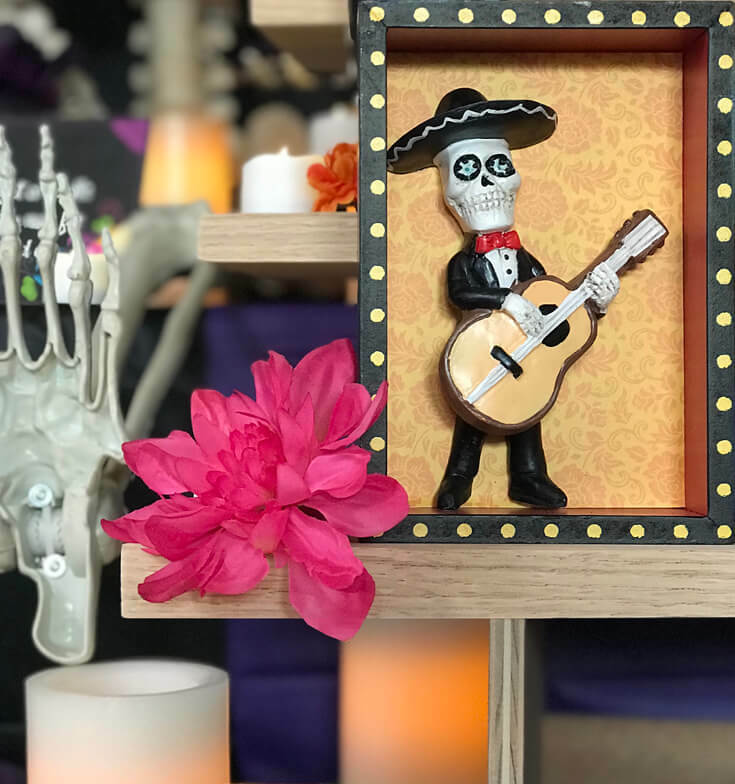 A cute skelly with a guitar is a perfect focal point for a Coco movie party! Music plays an important role in the film and I can’t wait to hear the Coco soundtrack. Skeletons get a face list for the Day of the Dead! 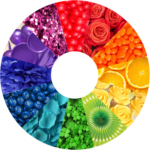 Add flowers to your Halloween decor for bright and cheery party guests. Give your skeleton a guitar for another easy Coco movie party upgrade. 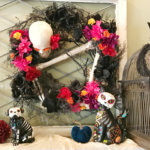 Background banner available in the Day of the Dead party package pictured above. 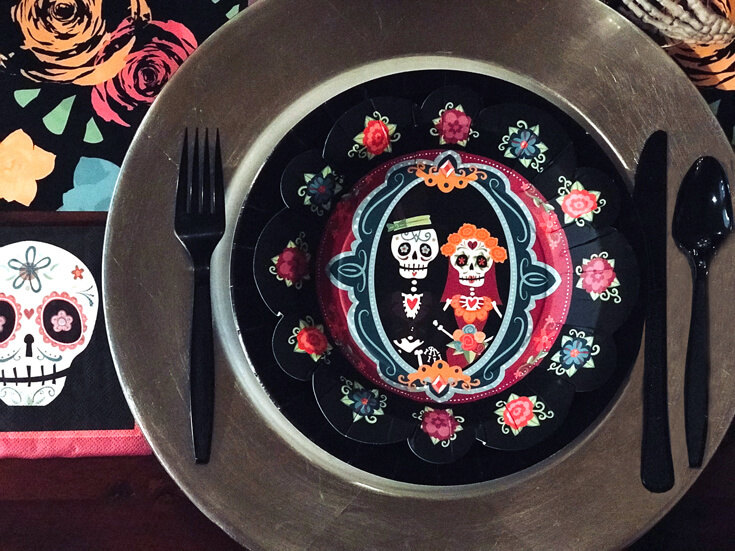 Easy upgrades to make your Halloween skeletons Coco viewing party worthy. 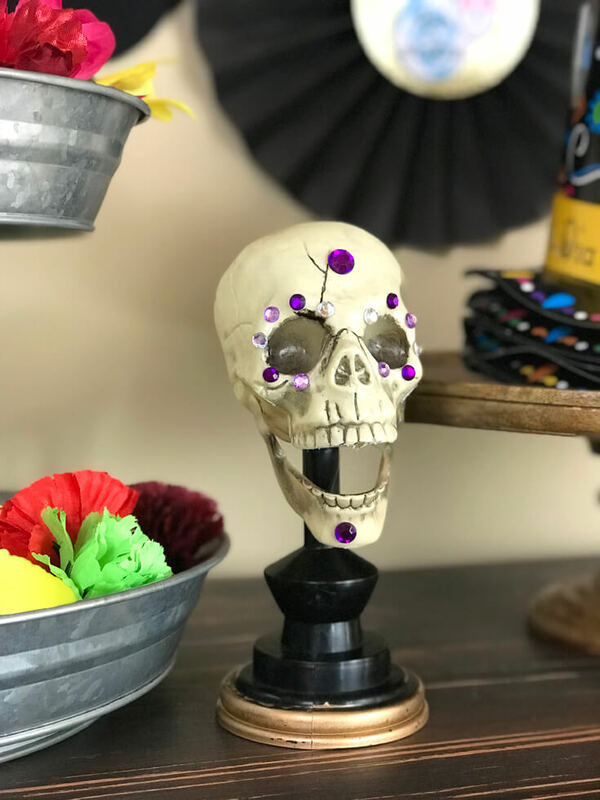 Stick on jewels don’t quite make a sugar skull but still give it a festive and fun look! 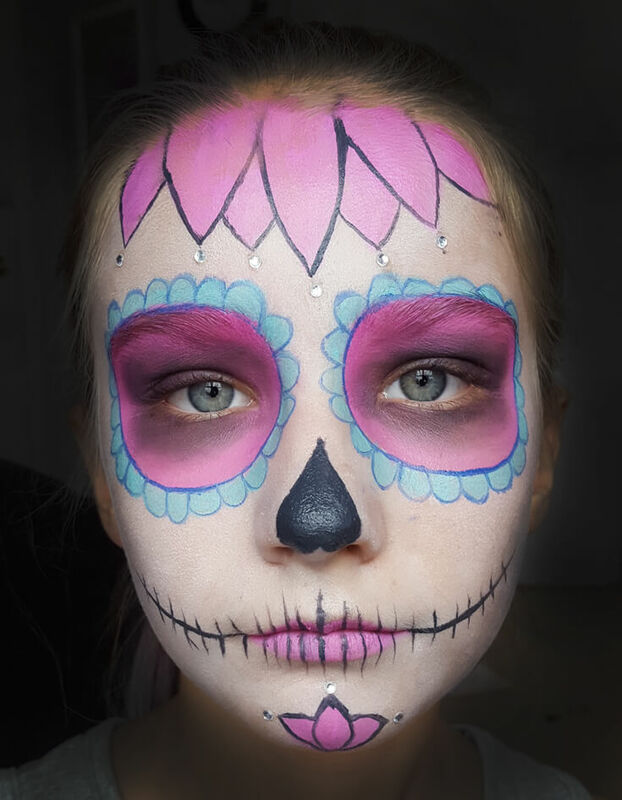 Want to join in on the sugar skull fun? You can use face paint or take the easy way out with a face tattoo like I did! It took 15 minutes to apply and would be great for guests who don’t mind taking off their makeup. You need a clean face or the tattoo won’t stick! I added lipstick, blackened eyes, and a light dusting of white powder after application. You can order this face tattoo or other patterns on Amazon. If time permits it would be fabulous to paint guests faces for the ultimate Coco movie party activity. Children love face paint of any kind. 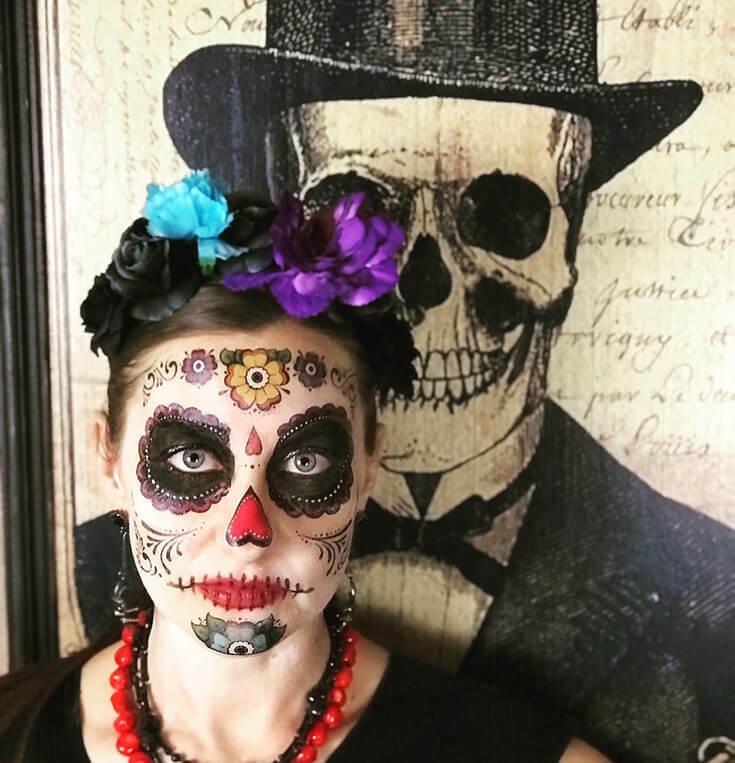 You can speed the process by having several adult makeup “artists” use this easy Sugar skull makeup tutorial. Short on time? 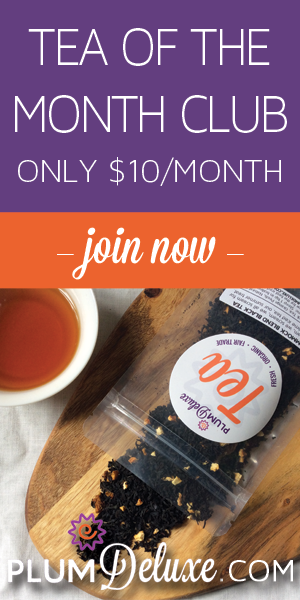 Only do a half skull and I guarantee your kiddos will still be 100% satisfied! You can also have guests create a floral headpiece to wear while waiting for their face paint. A headband and a few flowers comes together for the perfect party favor. 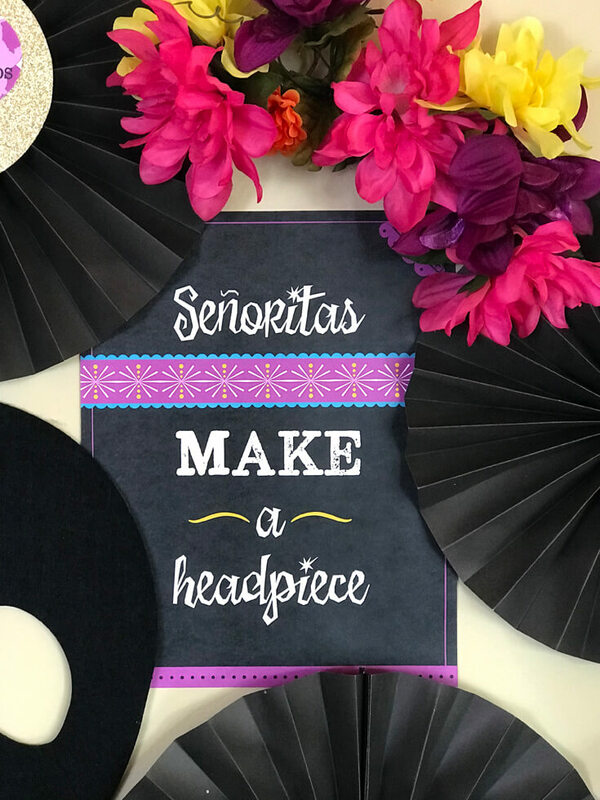 “Senoritas Make a Headpiece” Sign available on Etsy. Another great family activity is to learn more about your ancestors. Do you share stories about your grandparents to your children? Do you know much about THEIR parents? Does anyone in the line have a dark past? Anyone with a love of music? 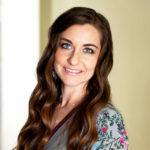 An important study showed that children who know about their ancestors have higher self esteem and that’s a win in my book. Check out Family Search to see if you can find any of your relatives. 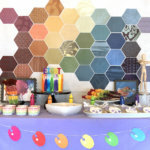 You’ve got to have cute paper goods for a party! There are so many different Day of the Dead options are out there. I got these last year at Michaels after Halloween for 80% off. Keep an eye on the sales and stock up now for next year! 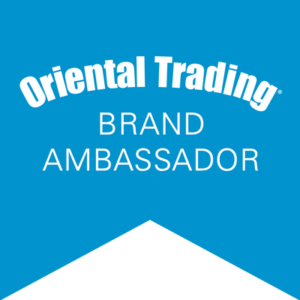 Or check out this set from Oriental Trading. Great traditional Mexican food is a must for a Coco movie party! 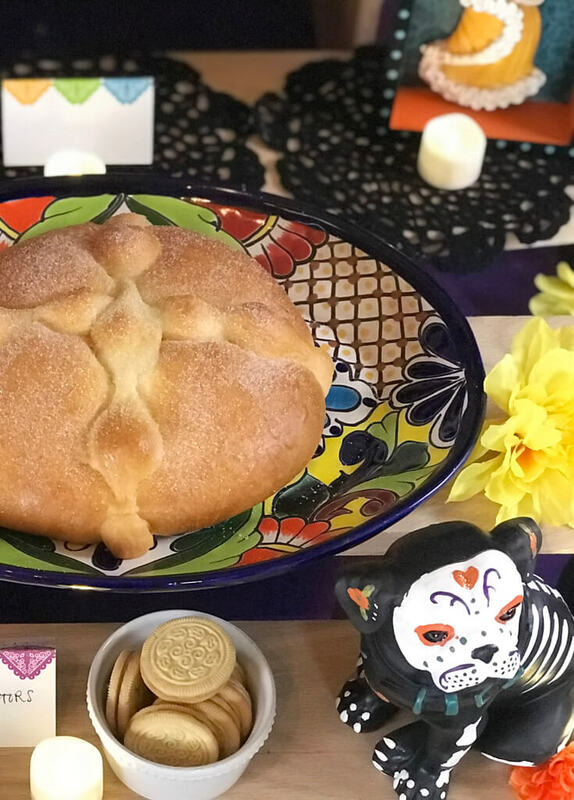 And Pan de Muerto is as traditional as it gets! I ordered mine from a local Mexican bakery and the light fluffy sweet bread is delicious! 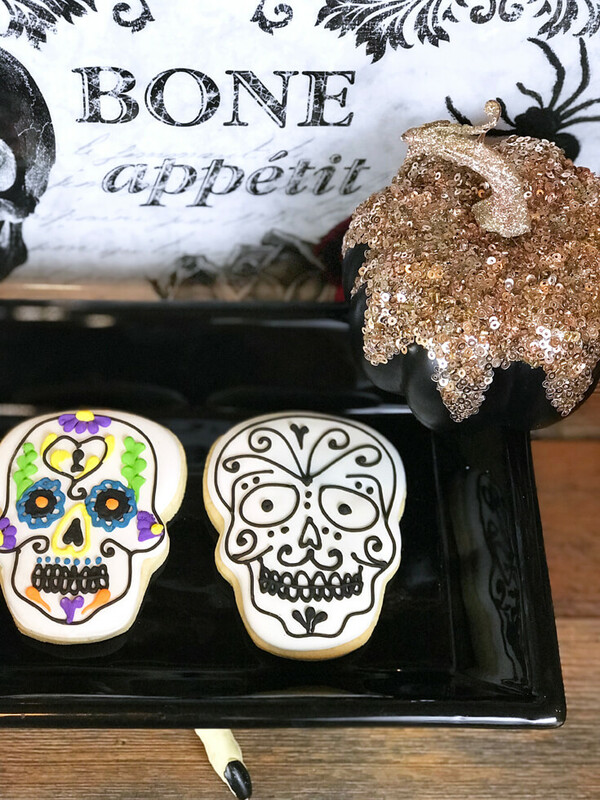 Cookies are necessary party fare and these gorgeous sugar skull sugar cookies from Trilogy Edibles are worth dying for! I displayed them on a Halloween platter with a pretty sequined pumpkin. Any food can be dressed up for a Coco Movie Party. 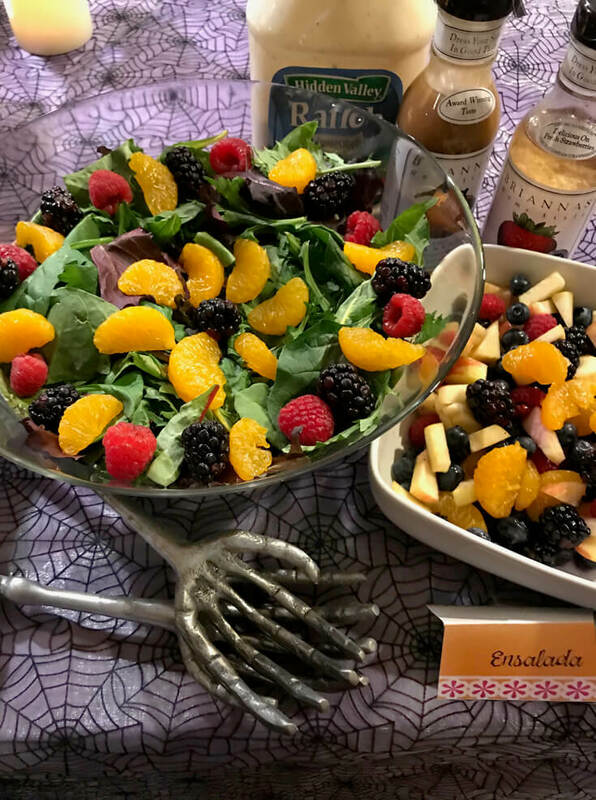 Add bright fruits in a fun pattern and this ensalada is suddenly very Day of the Dead! Using name cards in Spanish is another fun way to incorporate the culture. It’s all about presentation! 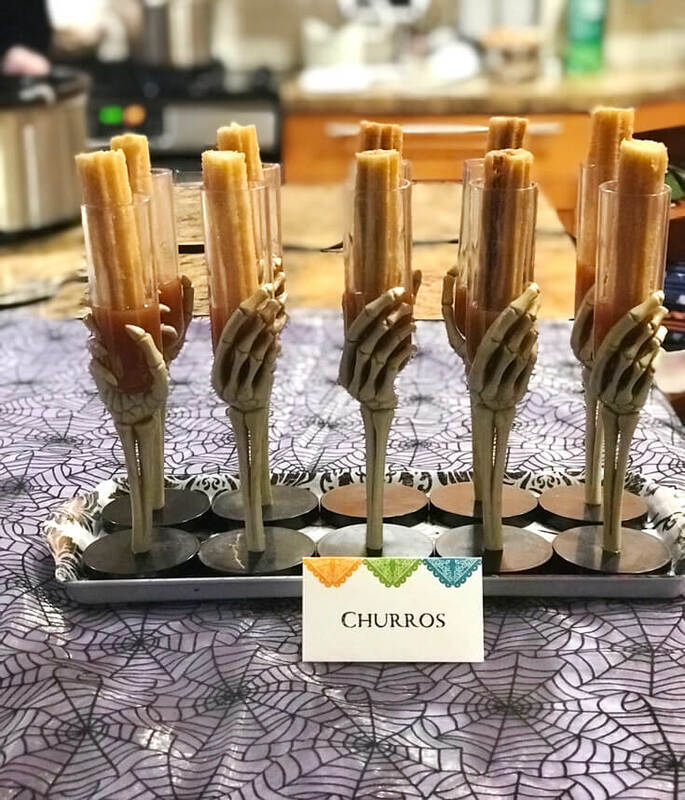 These churros are stunning for a Day of the Dead Coco Movie Party. Drizzle caramel in the bottom of a skeleton hand flute from Oriental Trading, and you’ve got a delicious and easily portable movie treat. 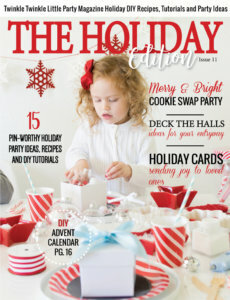 Now that we’ve got the party started you can check out some other great resources below to make your party a hit. I hope you have a great time watching Coco and enjoying some family time with the living… and possibly the dead! Gather your family for a Coco viewing party. Enjoy Disney Pixar's Day of the Dead film and learn more about this wonderful Mexican tradition. I love all the colors in this party! The cookies look delicious! The cookies were absolutely gorgeous! Thank you so much for your kind words. It was a lot of fun putting this one together.